I have problems when I try to edit with skitch a PNG image inside an EN note. 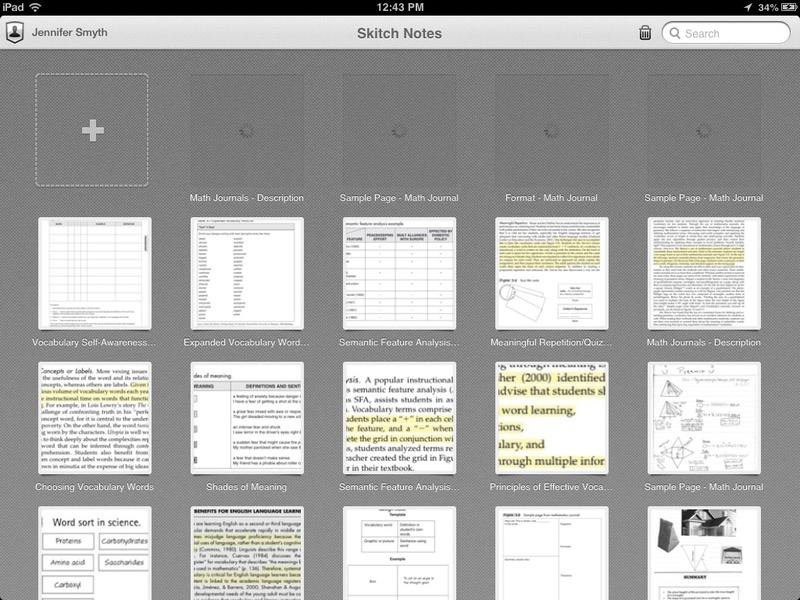 I use the latest Evernote & Skitch version on my iPad2. 1) Open a note that contains a PNG image, tap on image and select 'open in skitch' for edit. 2) The name of the image on Skitch is numerical and very long, so I tap on (i) to change the name. 5) The image disappears from skitch. Seems to bo a bug. Or I'm doing something wrong? Looks like you found a bug. We'll get this logged right away. For what it's worth, I'm getting the same error. From within Skitch, took a photo of a receipt, annotated it as I needed to, then hit save. Same Cocoa error appeared. One interesting difference is that the image still showed in Skitch on my iPhone, even after quitting the application. Nowhere on the EN desktop (Mac) though after manually syncing a few times to "force" it through. From within Skitch I changed the notebook to the one in which I really want the receipt. Same end result when I hit save. I then force-quit Skitch on my iPhone and restarted. Image is now gone. Original, unmodified, image of the receipt still shows in my iPhone's photos. I'm getting Cocoa errors when I try to sync images I've cropped in Skitch. Thought it was the fact that Skitch notebook in EN was now in a stack, so I undid that and quit the app. Now all the images I cropped are gone, and it's hanging on images that have already been synced (see attached image). Was relying on iPad app because desktop version won't even let me log in. Now nothing works. @jensmyth - Do you see the images as notes in Evernote at all? Or are they missing? They should reside locally on your iPad until they are fully synced and once synced they should be in your Evernote Notebook for Skitch. I'll have one of our QA Engineers reach out to you about this so we can get some info from your and use that to diagnose the problem. @jensmyth, @BigDaddyQB, hello and thanks for the feedback. We've been tracking this issue but unfortunately it's particularly difficult to reproduce so we don't have much data to work with. If you can provide some more data that would be a great help! If you run into it the Cocoa Error 133020 again, please send us an activity log. Tap on your name at the top-left of the screen to go to "Settings". Scroll down to "Activity Log". Please send the email to the address I sent to you via PM. I'll make sure the activity logs get routed to our dev team. Hopefully we can squash this bug and send out a fix soon. @jensmyth, you also mentioned a problem with the desktop version not letting you log in to Evernote. Are you using Skitch Mac Version 2.5.2? There was a bug that was triggered by a blank computer name (see here for details). This was fixed as part of Skitch Mac 2.6 so please upgrade if you're still unable to log in. Went to reproduce my issue this morning and, of course, everything worked just as it should. So overall that's a good thing but seems to relegate my issue as just "one of those things." (Having worked in IT and software development for years, I REALLY hate those.) Anyway, I'll be using the Skitch frequently for similar tasks so should it happen again, I'll dump the log and and send it to you. Really appreciate the quick support. I'm also experiencing all kinds of buggy behavior in Skitch on iOS. I'm trying to annotate PDFs. The annotations aren't being passed back to Evernote, a "Save" action in Skitch generates the Cocoa error mentioned above, Skitch has crashed multiple times, requiring that I start my annotations all over again. @S.Gecko - That's a known bug and we have submitted an update to Apple for review. We are waiting on their approval and will then release. It should fix the known cause of this issue. @Joe Lopez - That's good to know. It won't help me with this particular paper I'm writing, but hopefully it will be released in time for the next one. Hi everyone, Skitch 2.6.2 just hit the App Store now! Among the bug fixes is a fix to prevent merge conflicts during syncing, which reared its ugly head as "Cocoa Error 133020". The new version's sync has been improved and significantly reduced instances of note loss during syncing. On top of that, we improved PDF rendering to keep the content nice and crisp even at maximum zoom. Please be sure to check it out! Again, thanks for all your feedback; your feedback on these forums helps us deliver a better product for you all. Keep it coming!